It's a very worthwhile cause and so we were very happy to do our bit to help. 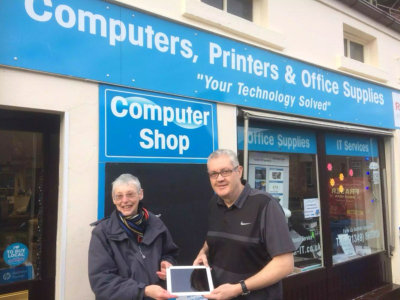 The winner of our prize was Juliette Chisholm-Broomfield and she can be seen here collecting her iPad from Gordon Munro. Congratulations Juliette! We now have a new prize draw running where you could win an iPad 2 16GB! To enter for free, Click Here.